In the fun and adventurous School of Dragons, its undeniable that two of your dragon’s best friends are going to be its ability to breathe out burning huffs of fire and you, its loyal and loving caretaker. While training this skill is necessary, Vikings should know the basics of developing their dragon’s skill until they’re a professional at fire-breathing. The best advice is for players to begin to train this skill at least once or twice while they’re playing the game to ensure that these skills will grow at a steady pace. As a Viking in training, it’s one of your many duties to your dragon to teach it how to breathe fire. The best way, and only way, to do this is by practising this special skill until your dragon can perform fire breathing with precise accuracy and an immense amount of strength. When your dragon is still young, it will not have any capabilities to control its fire-breathing abilities. This means that you must begin to encourage and push your dragon to not be afraid of this fire-breathing – buy instead embrace it until they feel comfortable with learning how to control it. Though becoming closer to your dragon can be challenging, but the easiest way to do so is to take care of its needs, such as feeding it fish. Since fire-breathing training takes time and energy, your dragon will become annoyed if you push it too much, so feeding it fish will help it get back into its groove while also helping build trust and respect to you as their true owner. Your dragons first time breathing fire is going to two things – messy and dangers. As they have no prior experience breathing fire, they have no control of the flames – not the direction it may fly to. Moreover, their flames are going to be weaker than a more experienced and older dragon. Thigh this is nothing that an understanding Viking cannot fix. During the process of avoiding the stray fireballs, you will teach your dragon how to control this ability and perfect it. After a few training sessions, taking your dragon on a few quests, or just to explore the world, will help it put its new ability to the test in a natural and authentic way. Just remember, your dragon is like you. Sometimes when its tired and is being pushed too much, they’ll get agitated – though using the old but helpful method of feeding them will solve this issue in full. Granted, its recommended for players to spend a good amount of time fishing so they won’t have to worry about doing it during a quest. Either way, though – one important thing to remember is that the time you spend bonding with your dragon is equally as important as the time and dedication you put into training it. 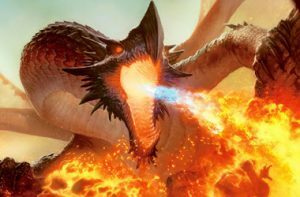 Once your dragon begins to develop its fire-breathing ability, you will be able to use it more and more during your quests and adventures. One of the best methods is to allow your dragon to focus on setting ablaze a stationary object, which will grow its confidence. Eventually, you should let your dragon practice with moving targets to allow it to build its accuracy and preciseness as well. Although this will take time, dedication, and energy – the results you will receive from training your dragon and bonding with it will be worth it. Adventuring with them will be more fun, going on quests will be easier, and knowing that your dragon has gained confidence due to you is the best gift of all. The School of Dragons is a game that can be on mobile devices, IOS and Android, along with being desktop accessible. The game is based off the popular movie series How to Train your Dragon. 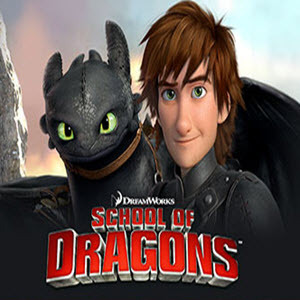 The focus of the game is to prepare yourself to become the most powerful dragon trainer while having the popular characters featured in the movie, such as Hiccup and his quirky dragon, Toothless. The game will allow you to pick your dragon that best matches your personality which is followed by having to attend a school where the player must learn how to fly, fish, and of course, how to take care of your new dragon properly! The game requires a significant amount of patience to further the player’s skills along with the dragons. However, excelling faster is a desire that some players feel while playing the game. 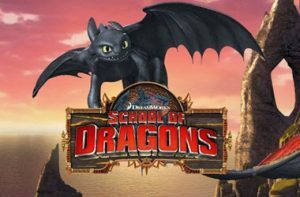 Therefore, we have listed out top hints, tips, and a few cheats that will help you train your dragon and rise to the top! To complete quests in School of Dragons you dragon must have some energy, though in some cases when your dragon does not it can be tempting to buy gems as a quick fix to give your dragon more energy. So, the better option would be to complete mini-games, find food, and other side options that will generate more energy for your dragon – which in some cases can be a pain but it’s worth it in the long run. While the game may offer you easy ways to spend your gems, its better to keep them and save them for when you really need them. This is more so of a continuation of the first tip. The best way to keep you dragon healthy and happy is to fish and farm each time you log onto the game – this will allow you t have enough materials, so you won’t have to spend your precious gems trying to make up for it. Plus, this method will allow you to only have to make one trip to feed your dragon instead of leaving a quest to go find a pond or even having to travel all the way back to your farm to harvest the food. Many players who are familiar with the process of training their dragons know that it takes several levels before your dragon is old enough and ready enough for you to ride them and start levelling them up. While some players may like the process of having to watch their dragon grown, sometimes it is worth it to just pay the $5 to grow them into an adult early in the game. Doing this will also unlock two abilities: Broadwing and Shortwing, which means payers are not going to have to wait to level after level to do cool flying tricks and shoot wicked fireballs. The worlds that are inside of Berk are massive – despite some of the building and landscaping choices may seem repetitive at points. Though you should note that some landmarks are key ones that you should remember as they can serve and entrances and exits to different worlds. Plus, this will avoid the multitude of loading screens that come along with entering these words from the normal way. It’s a fact, sometimes this is just the better methods and relying on quest arrows and mindlessly searching for where you need to go. One of the most prized and necessary skills need to be successful in School of Dragons is mastering flying. While it is mandatory to take flight club and all the levels that come with it – taking this course more than once is going to help you boost your flying skills, which will be needed since Wrath of Stromheart is coming, and it costs nothing. So why not perfect your skills now and thank yourself later. As the Stormheart saga became a hit among the new players and the veteran ones, School of Dragons is finally adding an expansion to the engaging saga which has been officially named Wrath of Stormheart. In this expansion, players are given the chance to train the rare and never before seen Elder Sentinel, explore the treasures and dangers of the newly created island of Vanaheim, along with battling the undefeated Nikora Stormheart – which might treat the players some generous rewards if they defeat the create successfully. As a quick recap: after Hiccup had his last run in with Stormheart, he has been extremely cautious and on high alert. He decided to take the risk of entrusting the skilled Dragon Trainers on Berk to be the leading team who oversee defending the School. Now, a new threat has reared his notorious head in the form of Nikora Stormheart, who is in search of a prized family heirloom that was lost. The Viking realized that they must come together to fend off the Pirate Queen from taking over the archipelago. As the Vikings are on their new quest, they will be joined by the familiar faces of Snotlout and Fishlegs who will remain loyal by the team’s side. If you believe you have what it takes to conquer the Wrath of Stormheart, that we urge you to try out this new, intense, and fun expansion to the Stormheart saga! Completing this quest will gift a numerous amount of rewards for the player. The long-awaited update has finally taken its perch on the shores surrounding the School Grounds. The update will include highly anticipated optimisations that players have been desiring. This new update will prompt players to start gathering their winter gear for the Vikings and their dragons as four new Snoggletog levels are being added to Dragon Tactics. Players who are courageous enough to venture into the depths will have to track through the white and icy grounds and have dramatic showdowns against the winter-based enemies – despite their cheerful looks; these foes are not friendly. Moreover, this update will also include some chat optimisations which will make it easier for players to communicate with one another while embarking on their dragon training adventures. In addition, the Viking Store will sport an upgraded look and players will now have the language customisation option featured on the login screen. Along with a dangerous and icy blizzard, the never before seen Titan has begun to make an appearance and can be found on the shores of the School, allowing players to witness the uniqueness of the creature. This intense dragon has a history of leaving even the fiercest Vikings shivering in fear. Now, this mystical beast has found its way to the school grounds after a large blizzard has run its course. This dragon is not like other ones who have been seen before, the Woolly Howl has the largest and darkest scales around along with talons that are sharper than razors, but the most unique part of this dragon is its antlers. Despite its intense and otherwise scary appearance, this dragon is not ready to battle. Instead, players can train this dragon and have it on their side as they anxiously wait for the arrival of the dreaded Snoggletog. The new updates in School of Dragons are proving to be amazing additions that all players are going to enjoy. The effects of puzzles on the human mind are well-known and have been discussed thoroughly through multiple psychological studies. However, many graze over the fact that while the process of puzzle solving can lead to developmental advantages, the simple act of solving the puzzle can lead to overall internal stratification of our brain – which leads to a feeling of happiness. Plus, the enjoyment of puzzle solving doesn’t have to be an isolating event. Puzzles can be enjoyed with friends and family. Which has been made easier due to having more puzzles being accessible through an array of mobile apps, which solves the problem of not living your friends and family. Can Puzzles truly make me happy? According to puzzle solving enthusiastic around the world – it does! Being able to drift to a new world where all you must focus on is the simplistic yet mentally demand process of putting pieces together. However, scientific researchers have also proven that there is a prominent correlation between puzzle solving and happiness. 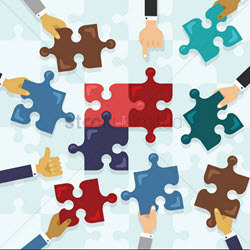 One communication psychologist stated that the act of puzzle solving can help us achieve undermining sub-goals, and once these sub-goals are achieved, our brains releases endorphins (a chemical that gives us a positive feeling), which leaves us with a satisfied feeling. Though in an even more simplistic form, solving a complicated puzzle can lead anyone into the mindset of being happy that they were able to solve something placed in front of them. This feeling gives the puzzle solver a newfound admiration for themselves and helps them recognise their cognitive skills. However, players should know the difference between being proud of themselves and being arrogant over their own skills. As people, we tend to become bored and stagnant if we aren’t being pushed mentally. This phenomenon is commonly seen in the typical workplace – we just become unhappy and feel like each task is mundane. However, solving puzzles can spark that challenge within us and cause us to become happier people in the long run. Having a complex task that we force on ourselves, such as solving a jigsaw puzzle or a puzzle game on our phone, helps us achieve an internal balance. This perfect internal balance stems from us having a task at hand that we know that we are capable of doing. However, we do not know how long it’ll take us to complete it nor if we will be a successful at it the first try. Though one of the charms of puzzle solving is showing that we can achieve goals that we out our mind to. This leads to the development of a higher self-confidence while also bringing us an internal unity and overall satisfaction. What puzzles have this effect? There isn’t just puzzle that you must do to achieve this internal happiness. That’s the best thing about puzzles – they’re diverse. Solving classic puzzles, such as jigsaws, sudoku, and word puzzles can bring happiness, but so can modern puzzles you can find online. Even live escape rooms are considered puzzles and they can bring happiness and satisfaction. No matter what, anything that challenges your brain in the way a puzzle can is guaranteed by science, and by personal experience, to make you smile at the end of the day. From early childhood until later adult years, we have always been drawn to solving puzzles. Whether it be jigsaw puzzles, Rubik’s Cubes, logic puzzles, word puzzles, or even just pattern guessing, people of all ages take great pride in being able to correctly and quickly sole a puzzle. 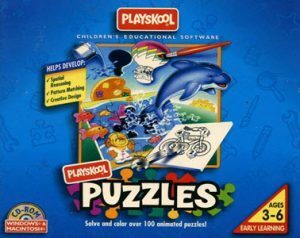 But, does puzzle solving have any effect on childhood development?, and are puzzle games for children essential? Everyone knows that the development process of a young child’s brain is heavily influenced by what they see and interact with constantly. Puzzles have been noted by several psychological tests that giving a child the ability to directly work with something in their environment that lets them change its physical shape and overall appearance can help them understand external things in their world better. Having children play with puzzles also helps them develop a basic understanding of fulfillment from solving these puzzles. 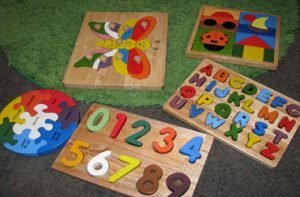 As a child interacts with a puzzle by flipping, turning, or removing pieces, they are furthering developing the core connection between their hands and eyes. As the eyes see the puzzle and each piece of it, their brain becomes more active and begins to envision how the puzzle needs to look and where to place each piece so that it can look like the completed image. After the brain goes through this quick problem-solving sequence, it then sends signals back to the eyes and hands so that all three parts of the child’s body can work together and accurately fit all the pieces together. Fine motor skills are needed in any child’s future as they begin to practice handwriting and other related activities. As the child begins to physically solve the puzzle by moving the pieces, they are developing a part of their brain that is in charge of helping limbs make sharp and precise movement. The more puzzles a child solves, the more developed motor skills will become – which in turn will help the child greatly in their future. These are the skills categorised as the movement of the arms and legs. Younger children, such as babies and toddlers, can develop and slowly improve these skills as they play with basic puzzles, like building blocks or other larger, easily movable puzzles. Studies have shown that one a child is introduced to these types of puzzles, solving more complex puzzles as they age will become even easier. Puzzles have the ability to help improve a child’s memory, which is essential during their younger years. For instance, when solving a puzzle, a child must remember the size, colour, and the shape of the various pieces as they try to fit each piece in the correct area properly. However, if a piece doesn’t fit, the child will set it aside, but they will need to remember that piece for when its needed again. After a child begins to work on more puzzles, they will begin to develop a strategy to help them complete the puzzle in a timely manner. An example of this is when a child will decide to complete the puzzle from the outside edge to the inside to save time, or by sorting the different pieces into piles depending on the shape, colour, or size. This practice will help children develop small goals (solving the puzzle as fast as possible), which can serve as a motivation that will be useful for their future life events. Parents of younger children should start giving their children puzzles to solve, whether it be a physical puzzle or a puzzle game via an app. This simple process will allow children to start developing the essential skills needed, and this will lead them in the right direction to becoming successful adults. The latest release has arrived, with School of Dragons v.2.6 being the fifth in the series of expansion packs released. This was released at the same time as Dragons: Race to the Edge, a Netflix series from DreamWorks Animation. Dragons: Race to the Edge is the hugely anticipated follow up to last year’s Return to Dragon Island, and will see Vikings and Dragon trainers off to solve the blue –egg mystery. The premise has Hiccup focusing his responsibilities of Chief and as such, is in search of dragon trainers to take on the role in this new adventure. As you delve deeper into the mystery, you join Phlegma the Botanist and Skulder the Archaeologist on an action-filled adventure and work together to find the missing baby Leviathan. While on your journey with Phlegma and Skudder, you will experience play on seventeen different underwater explorations and interactive quests, unlock special rewards in two newly added multi-level mini-games, train the Flame Whipper dragon and enter the unknown newly acquired friends. The only question that remains is if you have the skills needed to decode the Secret of the Leviathan and show the powers that be what is needed to unravel the Impossible Islands mysteries. The new Silver Phantom will have you soaring through white clouds as a new dragon joins the mystery and has left the clouds protection and enters the School of Dragons grounds. This is no easy dragon to find though, and only the best will be victor in this misery. This dragon likes to be in the distance away from other dragons and Vikings. The Silver Phantom is invisible when flying in the clouds and that is his preferred way to travel, only adding to the mystery it invokes. 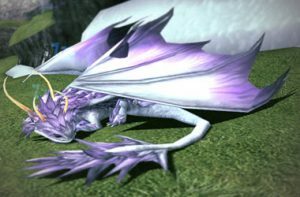 The Silver Phantom is one of the fastest dragons to fly the skies above and is able to soar high into the sky where few can see him, and the air is thin. This is one dragon that will be of great help to the Viking who takes on the challenge of finding him and convincing him to help unravel the mysteries that lie ahead. But fear not, and do not let this Silver Phantom frighten you by his appearance and his strength will shock even the bravest of Vikings, yet when tamed by your friendship, this dragon is one that can be quite serene and a good friend. The only question that remains is, Will you be the one to explore the open skies above and find the Silver Phantom? Long gone are the days when you would sit down with your family and play a good puzzle game at the dining table. Sure, you can still do that, but for most kids (and adults) nowadays, the puzzle is a much more personal game. It shouldn’t come as a surprise to learn, then, that most puzzle games are no longer bought in stores, but online. If you have a smartphone, computer or tablet and wish to get in on the act, though, where do you begin to look for puzzle games? One of the most frequently visited places to snap up the latest puzzle games is the Google Play Store. Sure, you can look for iOS-based puzzle games in the Apple App Store, too, but given Apple’s tetchiness with third-party apps, you don’t get a wide a range to choose from. Regardless of what you may have heard (from Apple), the Android-powered operating system does excel Apple’s offering in many areas, such as when it comes to apps and puzzle games. The Google Play Store is littered with countless puzzle games for you to play, and they also span a pretty broad age range, too. You can find puzzles which are ideal for 3-year-olds if you are the type of person to trust a toddler with your tablet or phone. Brainboxes aren’t left out in the cold, either, with a solid collection of real mind-bending puzzle games up for grabs provided you know what it is you want from your puzzle game. Visiting Google Play will see able to select games by genre, and then you have an ocean of puzzle games at your fingertips. Many of these puzzle games are free to play, although you are likely to be subdued by ads throughout your playing time. Those puzzle games which aren’t free are a lot cheaper than some of other professionally designed games in the Play Store, so you are likely to be able to pick one up for under $5, and play it without ads, unlockables or purchases. If tinkering with apps on phones and tablets is not your cup of tea, you can always try your hand at Steam gaming. If you’re a bit of a gamer, the chances are that you will at least have heard of Steam, even if you don’t already have it installed on your computer. Steam is much more than a place to find the latest PC games, though. You can also find puzzle games aplenty there, and most of them cost less than $5, too. Steam’s library is a bit less orientated towards children (at least the younger ones), so adults are more likely to find their ideal puzzle games here. With literally hundreds of titles to choose from, and many more added each month, the world is your ocean for puzzle games with Steam. Of course, you can always try your hand at those table-top games, too, but playing at a table with family members is a time-limited affair (and one which requires a great deal of patience in many cases). Playing Steam or Google Play puzzle games on your lonesome, now that’s the way to go. Puzzles have come a long way from jigsaws and crosswords. You might not think of yourself as a puzzle person, even as a child, you were probably trying to work out how to stuff triangular shapes into square holes. You got it in the end, and you learnt a lesson to boot. Well, adult puzzles are perhaps not as important in terms of what you learn – and are certainly described by some naysayers as a waste of time – but there is something intriguing about puzzles which we all find appealing (even if we don’t all admit it). If you’ve got time to kill, and you face boredom, why not give a puzzle a go? One classic puzzle that most of us have had a crack at (and duly given up on) is the Rubik’s Cube. This nasty cube has been thrown across rooms more times than we can count, but still, our old trusty favourite comes back into play. People have spent years trying to solve one, but that’s not the only puzzle out there you can enjoy. If you like jigsaws, have you tried 3D jigsaws? These are far more challenging than your ordinary 2D table-top games. They require finesse and patience, as well as skill. If the whole jigsaw genre is a no-no, perhaps something a little more mathematical is for you? Sudoku is one of the more modern puzzles we have grown to love in the West. Each 3×3 box (9×9 grid) contains the numbers 1 through 9. Each row and column must have all nine numbers involved and no duplicates. As well as that, each 3×3 grid must only use each number once. It’s a mind-bender for sure, but once you get to grips with it, Sudoku can provide hours of fun – often for free. Other classics you can play include old favourites such as Tetris, Hangman, and Scrabble. While favourites from the nineties such as Magic Eye and Where’s Waldo/Wally are still hugely popular. If you want something more modern, there is always the online puzzle world. Apps seem to be the new way to go for puzzles. Most of us have a tablet or a phone, and there is no better way to kill time than by trying your hand at an online puzzle. A few of the more successful ones, you may already be familiar with include 100 Doors, Candy Crush, and Logo Quizzes. Games such as 100 Doors are genuine puzzles. These games typically involve IQ testing style puzzles with progress to higher levels only assured once you beat each puzzle and ones which can be incredibly frustrating. However, the feeling when you complete a puzzle is unrivalled. Candy Crush Saga and other “social media games” are very much modern-day puzzles, too. These games do not have to cost money (although you can cheat and buy boosts if you wish) and can genuinely keep you at them for hours, often in frustration. If none of that works, logo quizzes, ball balancing games, flash images, memory games, and digital jigsaws, or tilting ball-maze apps are all modern-day puzzles which can make even the oldest of us feeling like children once more. Puzzle games are design or pattern games in which people should creatively think to join patterns or numbers for them to win. In every Puzzle game, players are forced to strategize on how they are going to win the games and arrange patterns as required. There is a lot of thinking and planning because without doing so, winning is impossible. You cannot accomplish your target on Puzzle games if you don’t know how to plan numbers or patterns. Besides the pleasure and entertainment that people get from puzzle games, below are other effects the games have on people who play it regularly. If you have tried playing a puzzle game before, you will realize that it reaches a level where the game becomes complicated and difficult to play. You are forced to think beyond your normal range for you to come up with a nice way of winning the game. Through such thinking and contemplating of how to pass some levels of puzzle games, you realize that formulating solutions to your problems is not a problem. Your mind can easily merge all the factors that lead to elimination of your problems. As you play the game, you are forced to contemplate on which steps are nice and which ones are not. You need to see and rationalize everything before you make a move to ensure that you always precise. Through that act of thinking and rationalizing, you will see your creativity enhancing day in and day out. It will reach a point where you will be doing extraordinary things from very simple things. A person who plays puzzle games cannot sleep easily. These people are always alert because they are used to be careful to ensure that they don’t mess up. Your attention capability becomes superb and you will be able to concentrate on something for very long. The attentiveness that you put when playing the game is the same one that you will put when doing your routine things. Getting used to a puzzle game is not hard, once you start advancing from simple levels to more complicated levels, it will be easy for you to become addicted to it. You will feel the urge to try more other complicated levels so that you enjoy more and more. Although many other games are addictive, puzzle games are on the lead. To conclude, Puzzle games are wonderful to play, and they can offer you the best mental sharpening effect. Don’t get comfortable with a puzzle game, the more difficult it is to play, the more creative you become because you will be required to think always. Office workers who have a habit of playing these games are known to be productive and effective because their minds think quickly and solve issues within a short moment. 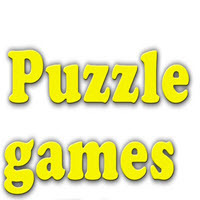 You can play games even on your mobile device; there are puzzle games in form of video games. For some people, puzzles have become a fun hobby that they can do while they are sipping a hot coffee and relaxing on a Sunday morning. However, study shows that there is something more to these games. While exercising can help you strengthen your muscles, working out your brain will have similar impact on your mind. For instance, it can help delay memory loss for people who are suffering from dementia by at least 2.5 years. It also works better compared to the drugs and medications when preserving cognitive functions and memory. If you are constantly losing your keys or forgetting the names of the people close to you, then you might want to try the puzzle games that are being advertised today. Based on the research conducted at University of Pittsburgh, Sudoku, crossword puzzles, and other mind games will enhance your cognitive function and boost your memory. According to the 2011 study that involved 488 individuals, those who are doing crossword puzzles on a regular basis showed a considerably slower decline on their memory after being diagnosed with the dementia. In addition, around 101 individuals have been diagnosed with dementia during the period of the study. Those who are regularly doing puzzle games have delayed their memory loss for more than 2 years. A review of the accumulated studies that was conducted in 2013 shows that mind games are the most effective method in preserving the person’s cognitive functions and memory. Based on the review, puzzles are actually more effective compared to most medication when it comes to protecting our mental health. With regards to the kids, puzzle enhances their capacity to understand and visualise the entire relationship. There are also particular subjects that can be enhanced with the help of the brain games such as recognising and learning colours, alphabets, numbers, and shapes. They will understand how to properly categorise the object. For the adults, advanced types of puzzle games such as scrabble, Sudoku, and mathematical puzzles can improve their language skill. Word games and crossword puzzles will enhance their research skills, spelling, and vocabulary. Concentration is necessary when solving brainteasers. This means that puzzle games will be able to enhance the attention span of kids and adults. By adjusting the difficulty of the puzzle, you will be able to control the amount of attention required in solving the puzzle. Once you notice that the individual is being comfortable in a particular level, you can adjust the difficulty that will prompt their brain to concentrate more. Based on the study conducted by National Health Institute last 2014, the benefits provided by puzzle games can be enjoyed for at least 10 years. By trying activities that stimulates your cognitive functions, you will be able to keep your brain healthy. While puzzle games are originally designed as a source of entertainment, it has also been proven to boost the function of our brains.